Father’s Day this year is especially poignant for my husband. Earlier this year, his dad experienced a heart attack and landed in ICU for over a month. His dad does not have a DNR, and at one point, my husband, his brother, and his mom were all faced with the question: What do we do? The family decided to put him on life support, and my husband’s dad was blessed to pull through. He is still recovering, but this Father’s Day we are all grateful to have him around! This Father’s Day we will definitely be celebrating my husband’s father. My own husband is an amazing guy who balances two jobs and a house full of kids. He deserves to be celebrated, too! We will be celebrating my husband and his dad by getting together on Father’s Day. 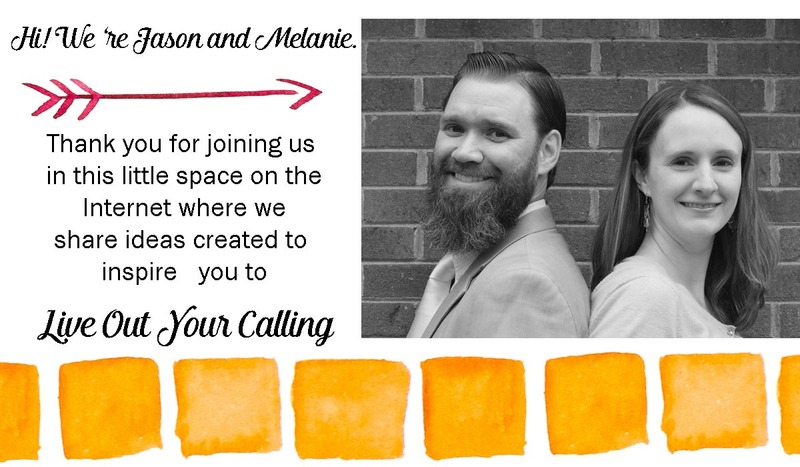 We want them both to know how crucial that they are in our families’ lives. They both play such important roles! 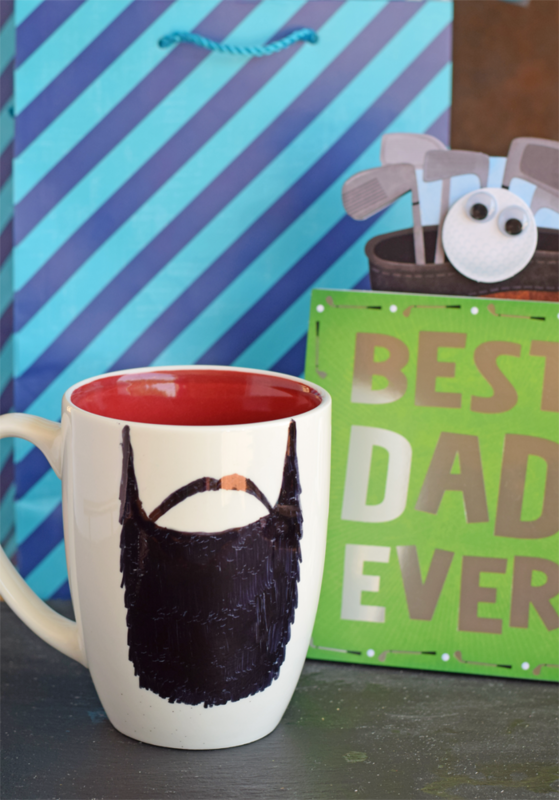 My husband is still trying to come up with the perfect Father’s Day gift for his dad to go along with the American Greetings Father’s Day card that he’s already picked up. 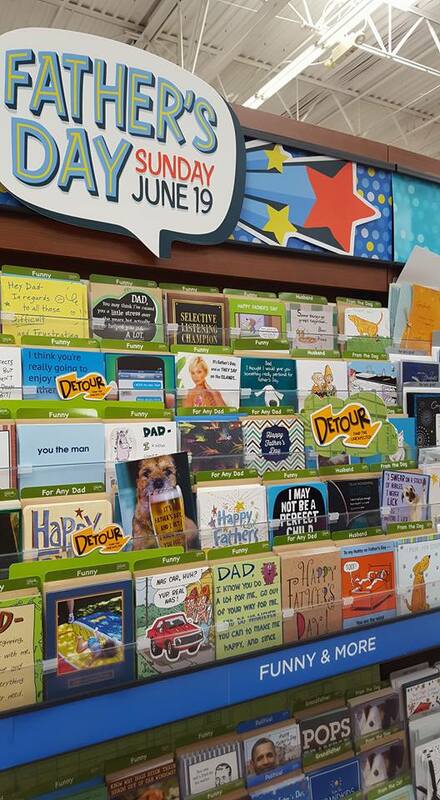 I’ve already purchased my dad an American Greetings Father’s Day card (though I’m still trying to figure out what to get him! ), but I think that I have just the gift for my husband from the kids. 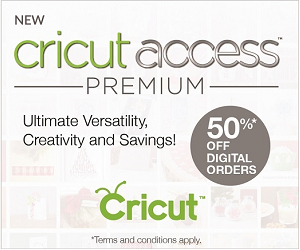 Take a look at my husband’s picture in the sidebar. See him there at the top? He’s been sporting a beard for almost 4 years now, and he takes it seriously. He has a beard groomer and beard oil, and he receives compliments on his beard all the time. 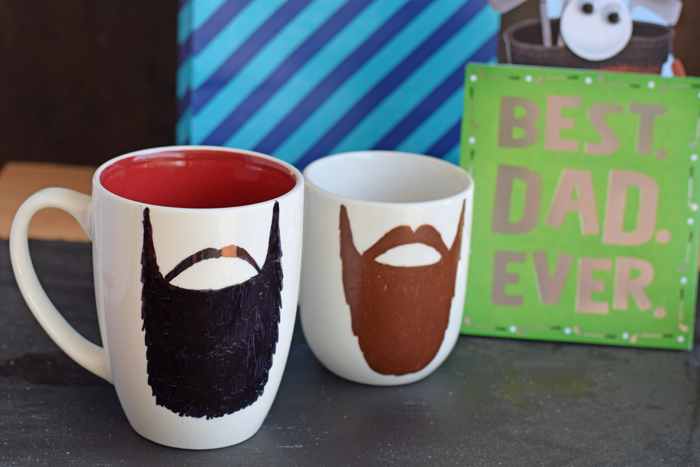 I’ve been wanting to do a fun mug creation for him for some time now, and these Draw Your Own Beard Mugs are the perfect gift for him! 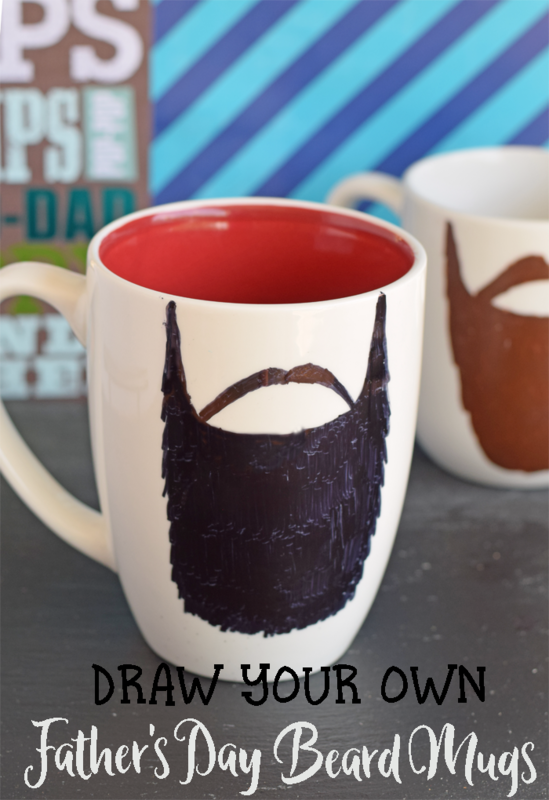 See the instructions below on how to make them for your bearded fella! 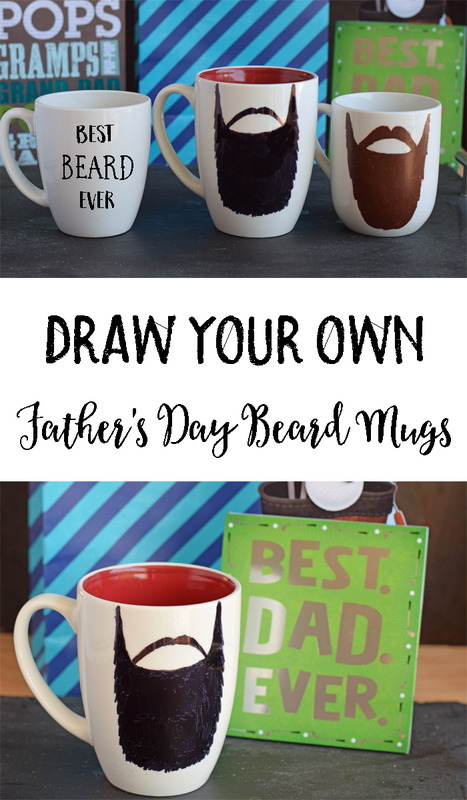 The first question everyone always asks when doing any sort of mug drawing project is “what do I use to draw?” I’ve heard of using everything from permanent markers to paint pens. 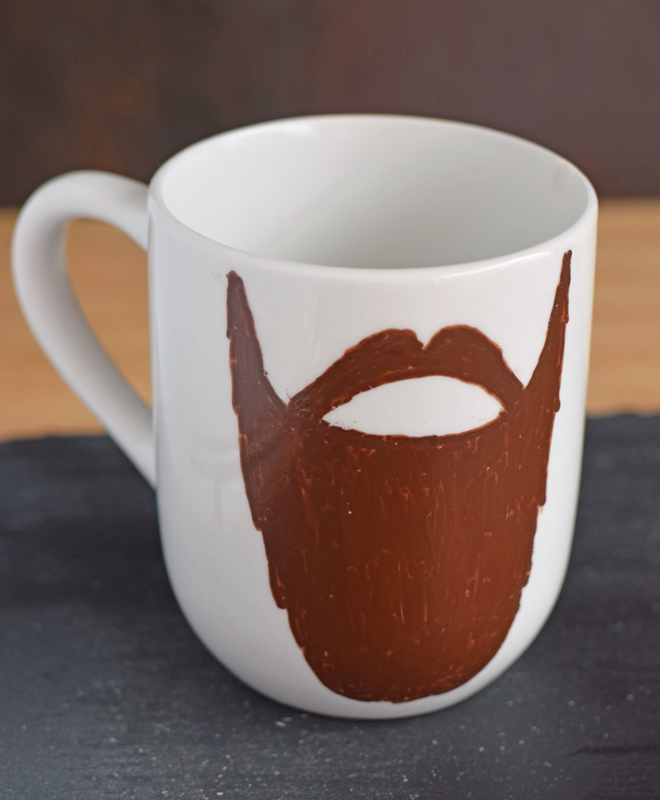 One thing to consider is if the mug will be used for actual drinking purposes. I know that seems like a silly thing to ask, but not everyone actually drinks or prepares food in mugs. 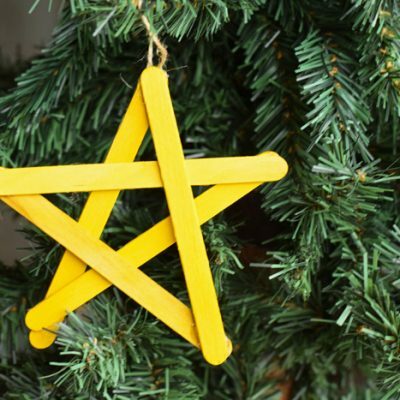 Some people use them for decorative purposes. 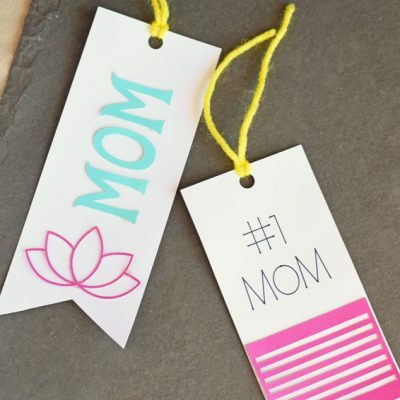 If you are gifting to someone who uses them for decoration only, then you are safe to use whatever drawing medium that will stick (like a permanent marker!). 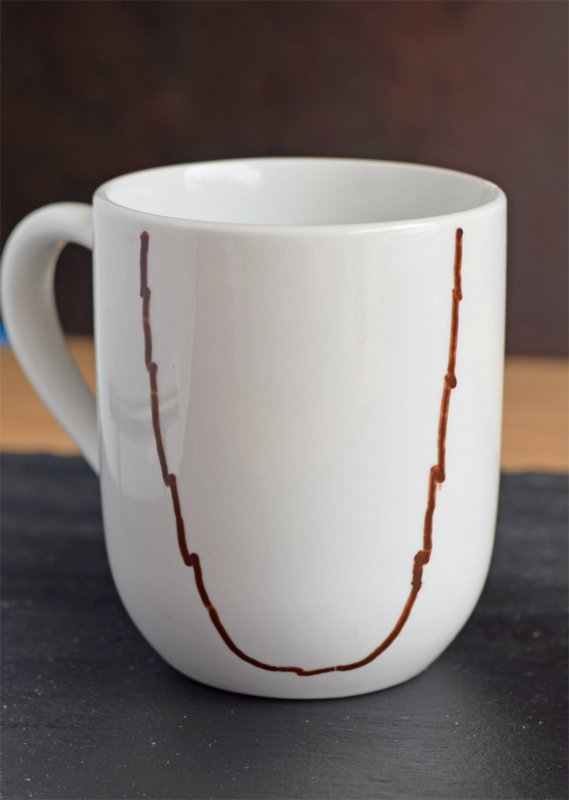 However, if your desire is to create a long-lasting mug design that will withstand hot liquids, drinking, and dish washing, then you’ll need to grab a food safe and dishwasher safe ceramic marker like this one. Today I’m using my hubby’s beard as inspiration for drawing these. Feel free to change up the length or shape to match the man in your life. 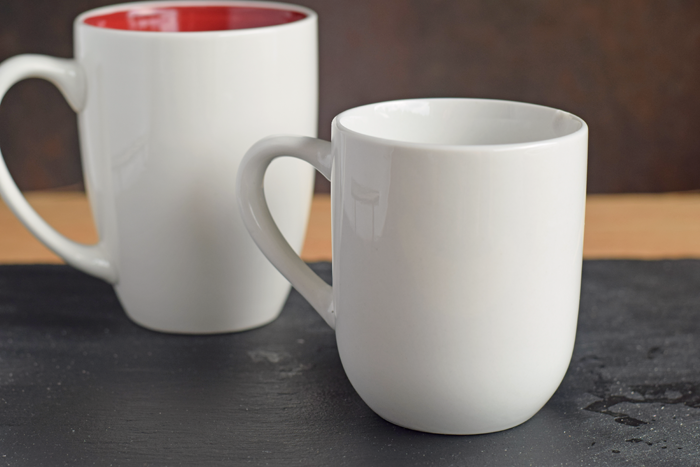 Grab a plain white mug of your choice. 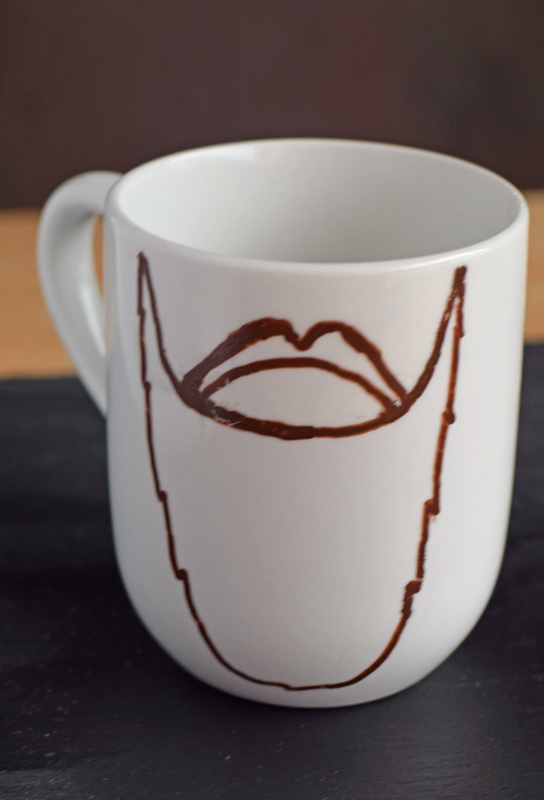 Begin by drawing the outline of a beard. Not happy with the design? Use the napkin or cloths to wipe it clean and start over. It took me about 5 tries before I was able to get a symmetrical design that satisfied me. Then draw the mustache in above the beard. This part was the most difficult for me. I’m not that great at free hand drawing, and making a symmetrical mustache that didn’t look weird was challenging. It won’t look perfect, but keep in mind that once you’ve colored in the lines, it will look much better! Use the marker to color inside the lines. If using the ceramic marker (which I highly recommend! 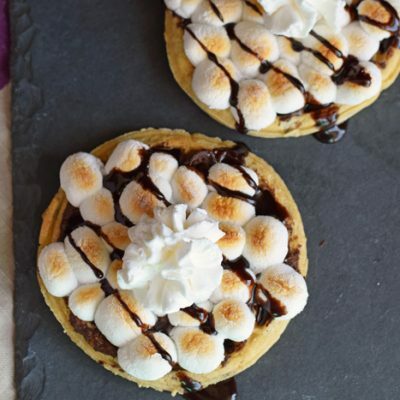 ), bake according to the manufacturer’s instructions. 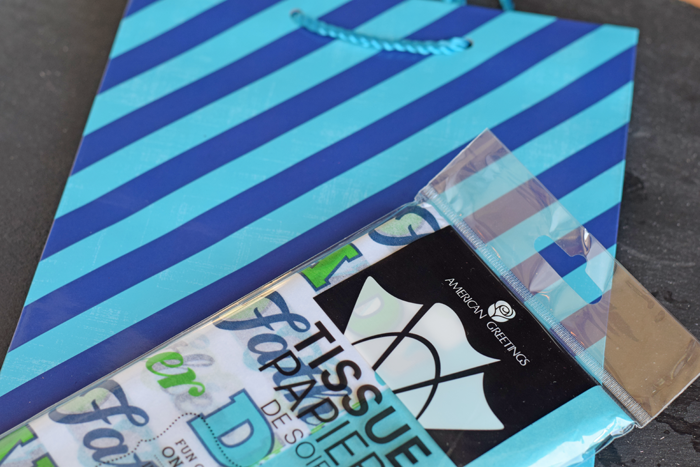 American Greetings bags, gift wrap, and cards make the perfect gift pairing! 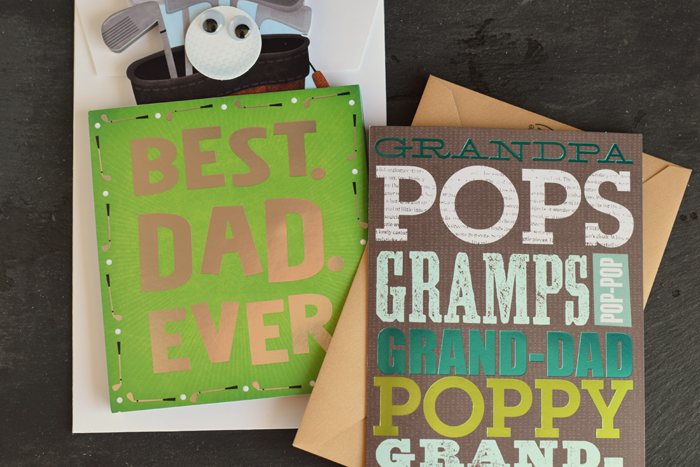 Do you have a dad that enjoys funny cards? 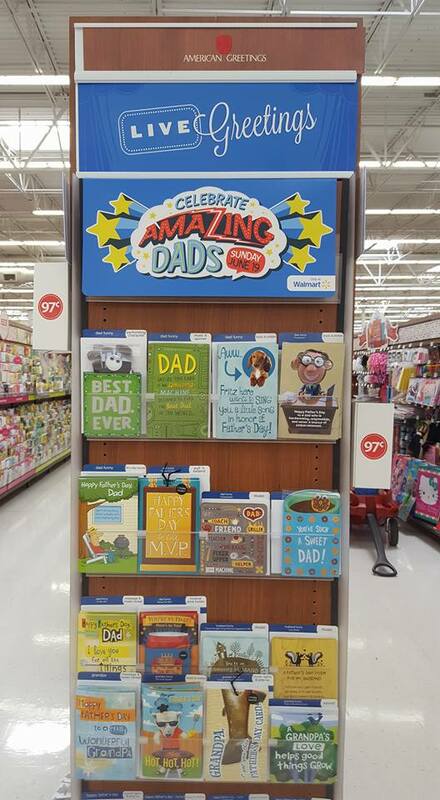 You’ll find many humorous and alternative cards in their selection to celebrate fathers, too. 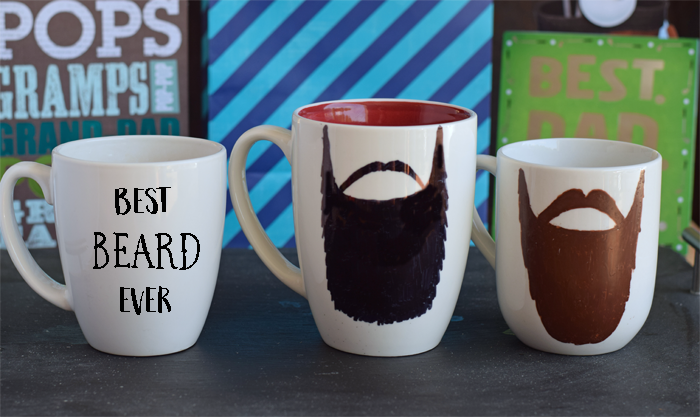 If you are great a hand lettering, add a beard related message to a mug for a fun twist! 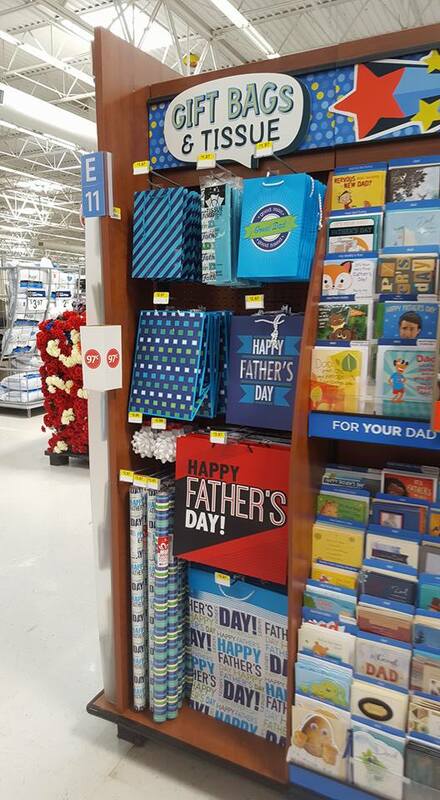 You can find American Greetings cards, gift wrap, gift bags, and tissue paper at your local Walmart. 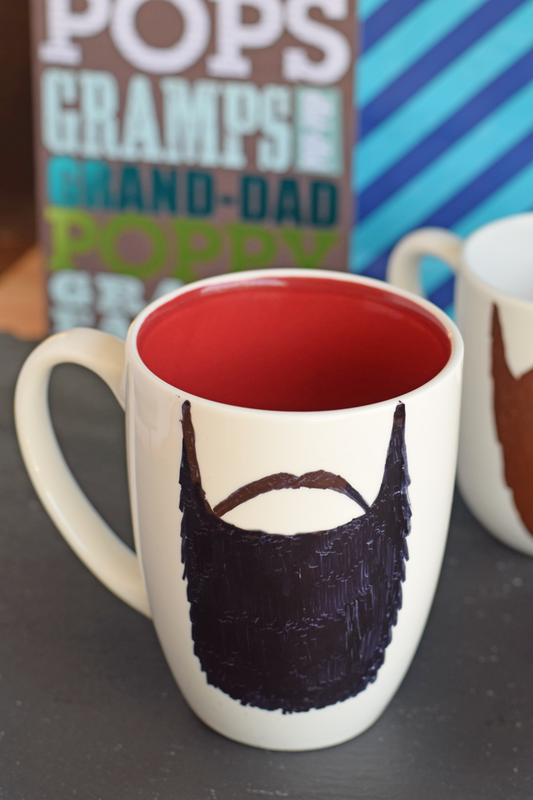 Do you have a dad in your life who would like a Beard Mug? I love this! So, SO fun! This is perfect! 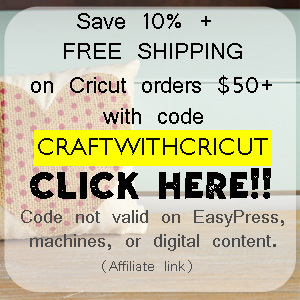 I love making customized gifts like this! I have a Mr. Fix It Dad! :D Your mugs are awesome! I have a Mr. Fix It Dad through and through! He’d love this mug idea. He’s always been clean-shaven although I have a vague memory of him sporting a mustache at one point. Thanks for the fun idea!